Pff, the shoulder press did not go so well. I messed up my weights on the second set and did 5lbs more than I should have. Which I am going to blame for doing awful on my last set. My rep goal on the last set was 7, but came nowhere near :(. I did 5 push press with 70 lbs after that. But couldn’t be bothered to do more. 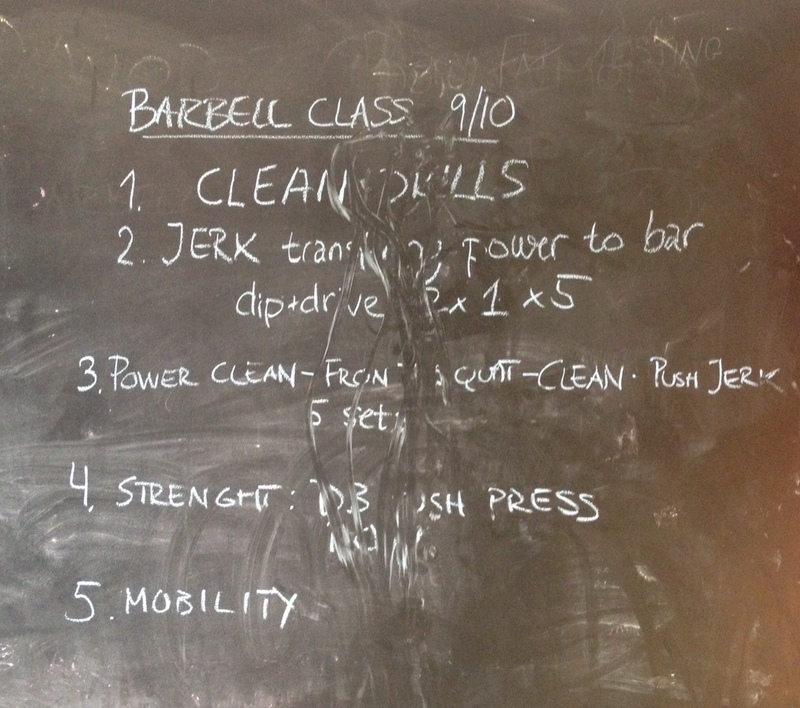 Because it was up to barbell class next. 2. Is where we had to bar in clean position and then did the dip and drive, but not extending our arms up. So just feeling the power of our hips moving the bar off our shoulders. 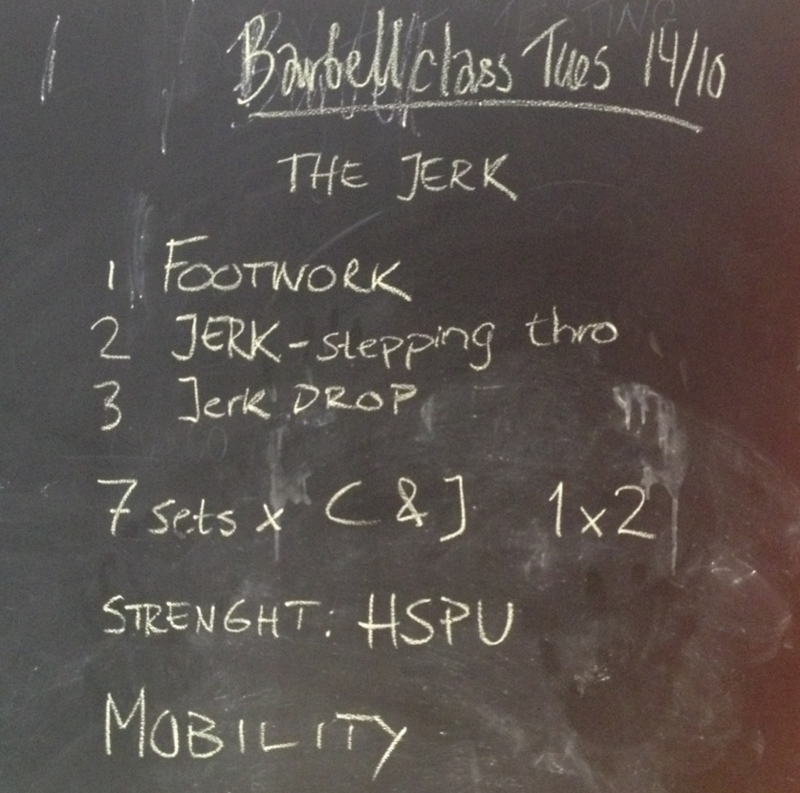 Then we did 5 rounds of 2 of those drives and then 1 full push jerk. 3. A nice little complex of one power clean, then a front squat, then a squat clean and then a push jerk. For 5 sets. I did this with 55 lbs. 4. For strength we did 3 sets of 10 pendlay rows and 10 dumbbell push press. I did the rows with 55 lbs and the push press with two 25 lbs dumbbell. 5. More nice mobility tricks for good stretching. We used the band to stretch our calves and we did something where you would set up in the squat rack in racking position and someone else will push your elbows up as far as possible. After that had to hang from the bar while the other pushes against your shoulder blades to push you forward (stretching your shoulders/upper back). And we ended with but against the wall and then putting legs as far down in what is basically a horizontal “squat” position. Nice lesson again! I love these technical classes. Very different dynamic, but I feel that I learn so much. And it forces you to focus on your weak points.